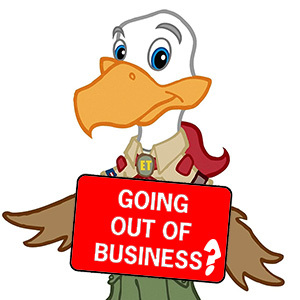 Are you going out of business? One month ago, I submitted a request to work with me on a recent split of two scout troops into three. I was (and still am) hoping to transfer the affected boys from each troop (who are already both in eTrail) into a third one I will manage using eTrail (I think). My goal was/is to avoid re-keying everything since we are all planning to remain users of your scout tracking system… unless your business has died on the vine. My original request was first sent through your Help link from my eTrail account on April 4th. I have since tried your direct email address (support@etrailtoeagle.com) again on April 6th, 10th, 11th, 16th and 25th. Baffled as to why this request remains unanswered, I moved my attempts to make contact through Facebook on April 26th, 30th and finally May 1st. I keep trying because I. LIKE. YOUR. SOLUTION! Can you confirm the status of your service? I can see if this hasn’t been profitable (or even encouraging to pursue) at $29 bucks a year. If that’s the reason for abandoning your customers, then raise your price! I know I would pay somewhere between $49 and $69 a year for what you offer. Anyone else feel the same about eTrailToEagle? ?